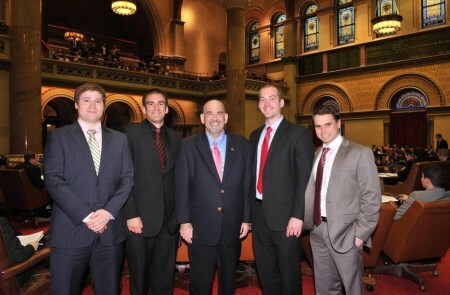 Several local students participated in this year’s New York State Assembly internship program. The students, who completed the program to earn real-world experience in the public sector, include Town of Northport resident Bryan Crowley (SUNY Albany class of 2012), Town resident Steven Bauer (SUNY Albany class of 2012), Town Of Northport resident Joseph Alicata (SUNY Albany class of 2012) and Town of Huntingtonresident Mike Gurtowski (SUNY Geneseo class of 2012). Assemblyman Jim Conte praised the students for their accomplishment.